Partners | ALRO Services Ltd.
Over many years ALRO have developed close working relationships with several companies or " Preferred Contractors". 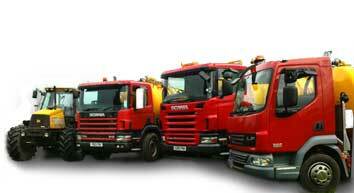 Always Cleansing Ltd. are ideally positioned to cover all areas of Cornwall, Devon and Somerset. For the emptying of Cesspools, Septic Tanks, Treatment Plants & Grease Separators. Their fleet of Trucks are made for the narrow lanes in the area. High capacity Trucks for larger jobs. Prompt, clean and professional Always! Peter Hearn Haulage Ltd. is ideally positioned to cover North Devon for the emptying of Cesspools, Septic Tanks, Treatment Plants & Grease Separators. They have a variety of vehicles in their fleet enabling them to operate in places that are often difficult to reach. Wherever your Sewage Disposal System is located, rest assured that Peter Hearn can empty it!.